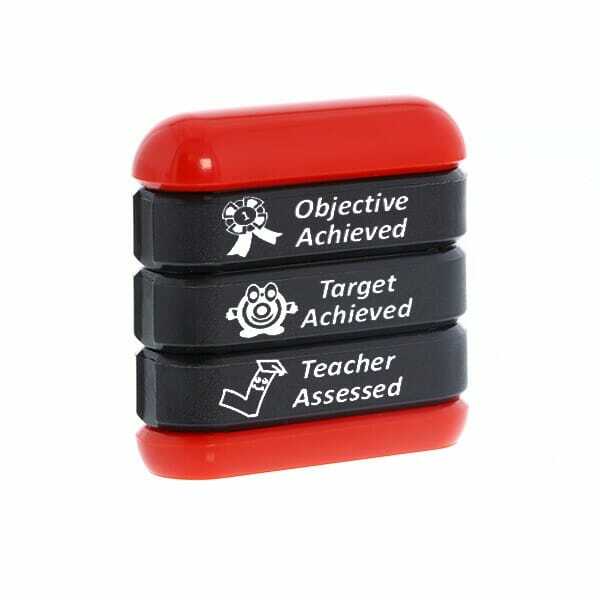 A collection of pre-inked 3-in-1 stamps offering various titles specifically designed to meet the criteria of marking children's work. Motivational stamps do make education more rewarding. Encouragement is a key factor for successful learning. Customer evaluation for "Trodat Stamp Stack - Achievement 2"